It would seem that a design flaw in the Nintendo Switch firmware is causing a slight drain on the platform’s GPU resources. At least, that what Eurogamer’s Digital Foundry reports based on a recent hands-on with Shin’en Multimedia’s racer, Fast RMX. The Wii U remake of Fast Racing Neo plays great on Nintendo’s new platform, and the game uses adaptive resolution scaling to dynamically adjust rendering resolution based on GPU load. While the Switch should be capable of sustaining a 1080p resolution in docked mode, resolution shifts between 900p and 1080p, and this could be caused by a minor firmware design flaw. According to Eurogamer’s report, there’s a small issue with the Switch’s firmware which causes a drain on the platform’s GPU resources. Once solved, Fast RMX should render in a sustained 1080p resolution in TV mode. In docked mode, the game jumps regularly between 900p and 1080p – or even lower in very select circumstances – while portable mode drops the resolution ceiling to 720p where minor drops in pixel-count can also occur, mostly in pre-race fly-bys. From what we understand, there is a small issue with the current firmware on Switch which causes a slight drain on GPU resources – once corrected, we’re told that Fast RMX should sustain a full 1080p in docked mode. It’s unsure whether this firmware design flaw also affects performance of other Switch titles, but on the NEOGAF forums, users are suggesting that it could slightly benefit the performance of other games as well, including the Legend of Zelda: Breath of the Wild. A fix for this small firmware bug is said to be inbound. As always, we’ll keep you updated on the matter in case we learn more. 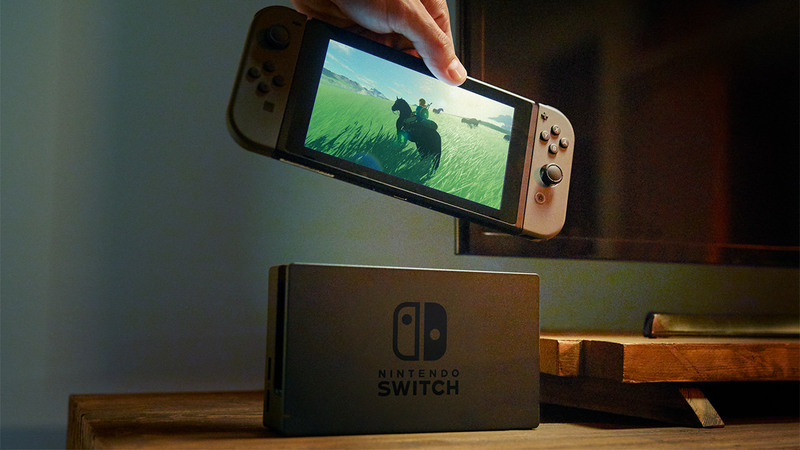 The Nintendo Switch is available now worldwide. Be sure to read our very own review of Nintendo’s new platform right here.